Clean Easy and Compact. Comes in a pouch with a belt. 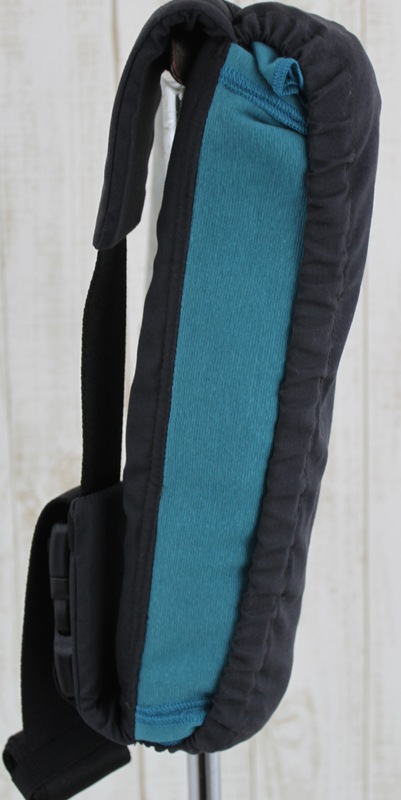 This ingenious design of newborn wrap carrier has a belt to secure around the waist, then the fabric opens into the correct position very time. Simple and secure. 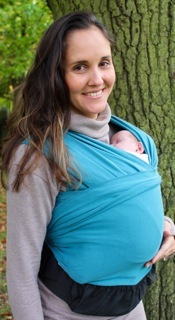 Category: Lucky baby - Easy Slings. 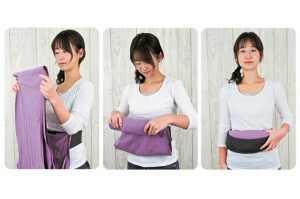 Tags: compact sling, Lucky Baby Japan, newborn, Soft fabrics, Strength, wrap sling. The Pittari sling is a fabulous Newborn wrap carrier. The fabric is super soft and stretchy, comes in plain chic colours that can be folded away into a belt to keep safe clean and compact. 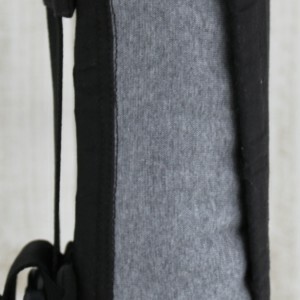 The fabric is stored when not in use thus keeping the sling in the correct position for each subsequent use. This innovative belt design also means the Wrap Sling has less fabric than conventional wrap slings. 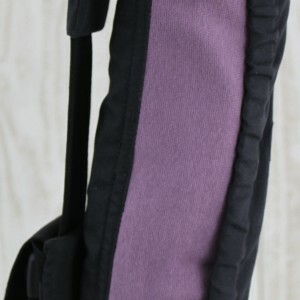 The belt becomes the base of the sling and gives extra security once tied in place. 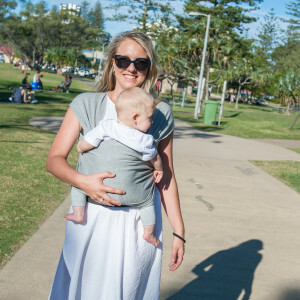 “I have this wrap carrier for my newborn and its really soft and stretchy, he’s very comfortable in its and goes off to sleep in seconds. i am also very comfortable in it so i can carry him for a long time. I can feed him too while wearing it , just slide him along a bit and i have lots of coverage. 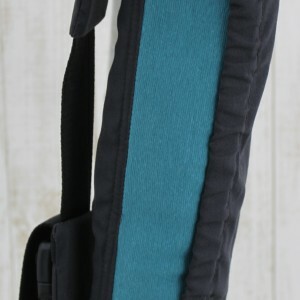 The way its designed is very very clever as the belt it comes in is also extra security, it forms the base of the sling and once that is in place you know you are wearing the sling correctly. I like this because i do worry if i can tie a stretchy fabric sling correctly or end up with uneven bits of fabric, and this doesnt happen with a PIttari. Aside from the initial uncertainty of the two long cloths, I absolutely love the PITTARi. After putting the carrier on(which is A LOT easier than it looks! 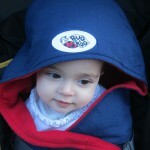 ), I put my 1 month old infant in it. The stretchability of the material allows the baby to slip into the carrier with ease, while securely snuggled up onto my chest. The super light & breathable material keeps us both cool & comfortable. 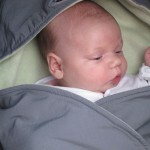 I have this for my newborn and its really soft and stretchy, he’s very comfortable in its and goes off to sleep in seconds. i am also very comfortable in it so i can carry him for a long time. I can feed him too while wearing it , just slide him along a bit and i have lots of coverage. 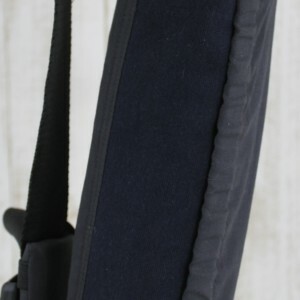 The way its designed is very very clever as the belt it comes in is also extra security, it forms the base of the sling and once that is in place you know you are wearing the sling correctly. I like this because i do worry if i can tie a stretchy fabric sling correctly or end up with uneven bits of fabric, and this doesnt happen with a PIttari. 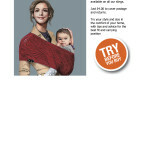 I’d definitely have a pittari wrap on any must-buy recommendations for new mums. I’ve used it daily since about a week old and am still very comfortable using it for my 15lb 12 week old. She loves it, which usually give me hands free to deal with the demands of the older one! The fabric is super soft and stretchy and it’s great that it tidies away small and neatly in the belt. I read the instructions a couple of times, but with a very small amount of practice, I find it very easy to use. As someone who’s never been that confident with a standard wrap and more used to buckle carriers, it’s great that the belt ensures a ‘seat’ under baby so I can’t really get it wrong. 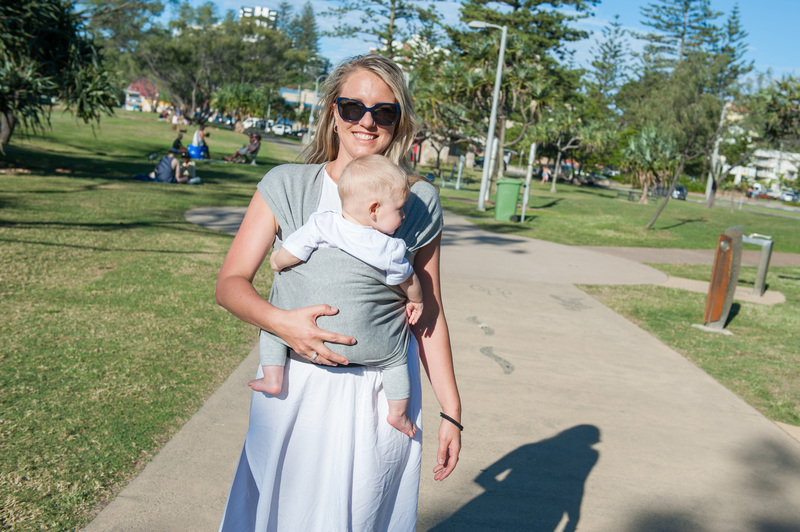 The pittari wrap is my most baby item this time round by quite some way. I love this for my little one. 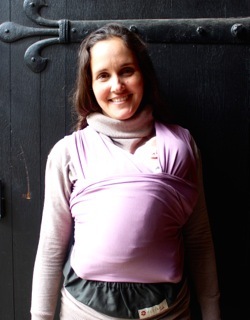 I have tried other stretchy wraps before but didn’t get on with the sheer amount of fabric you have to figure out, so this Pittari wrap is perfect for us.